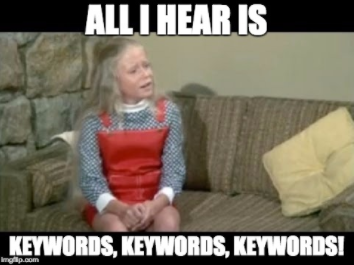 Test - SEO 101: What is a keyword? Well, no need to hide your shameful secret any longer. Here is everything you always wanted to know about keywords – but were too afraid to ask. 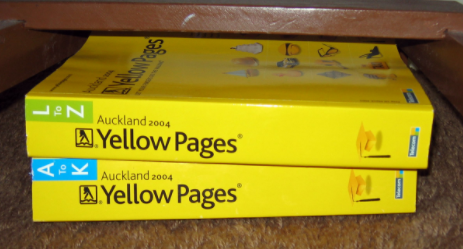 What is a keyword (and why do they matter)? This is how people used to fix their problems. No time to sculpt your poodle’s poofs? Look up ‘D’ for dog groomer. 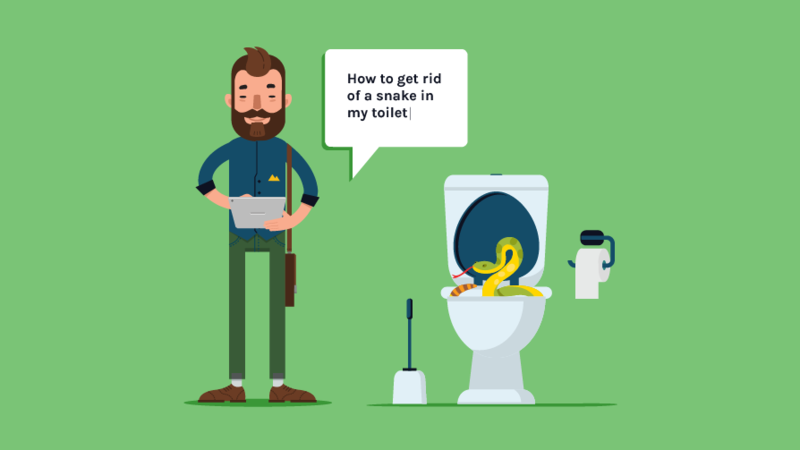 Need someone to remove a snake from your toilet? Look up ‘P’ for pest control. You get the idea. Think about the last time you had a problem you needed fixed. How did you go about solving it? I’m willing to bet good money you typed a word or phrase – AKA a keyword – into a search engine. And that’s exactly what your potential customers are doing too. 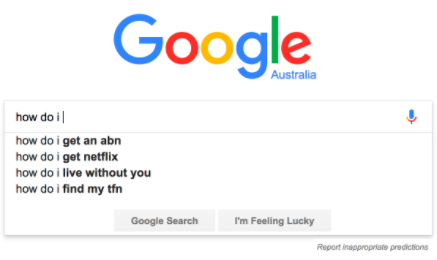 That’s why keywords are so important to your business. If you want your customers to be able to find you, you need to be using the same keywords on your website that they’re typing into the search engine. The better you rank for the keyword, the higher your position on a search engine results page (otherwise known as a SERP). And the higher your position on the SERP, the more likely people will be to click on your link. Ranking poorly, on the other hand, will almost certainly spell doom for your website, as less than 10% of people will click through to page 2 of the search results. When trying to solve a problem, customers might search for a range of things. 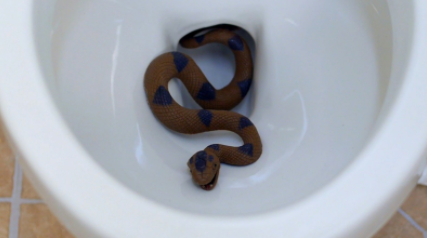 For example, if my problem is that there is a snake in my toilet, I might search for ‘snake’. This is considered a ‘broad keyword’ or a ‘head keyword’. Because they are more general, these broad keywords tend to have a high search volume. So you might think it makes sense to try to rank for these keywords, in order to get more hits. The problem is, they tend to be a bit too general, and therefore not that helpful. 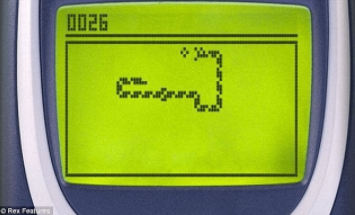 For example, when I type ‘snake’ into Google, the first result is about the game Snake – yep, the one you used to play on your Nokia 3310 15 years ago. Not so useful in helping me get the snake out of my toilet. Super fun game, though – amirite? These are known as ‘long-tail keywords’. While these don’t get the search volume of broad keywords, they’re likely going to return much better results and give me specific information I can actually use to solve my problem. Disclaimer: Not a real snake. Or a functioning toilet. That’s why if you’re new to keywords, trying to target long-tail keywords is a great place to start. A lower search volume means there’s less competition, so it’s easier to rank highly on the SERP. Plus, the people searching for these phrases are way more likely to be buying what you’re selling (in other words, you’re bringing more relevant and qualified traffic to your website). Now, you might be thinking, the more times you use a keyword on your website page, the better, right? Trying to cram your keywords in as many times as you can onto a single page is definitely not the way to go – in fact, Google actually penalises you for keyword stuffing by making your site appear lower on the SERP. Plus it makes for godawful copy that will make your visitors leave in a hurry. Yes, keywords are essential in helping people find your site. But once they find it, there needs to be relevant and engaging content that compels them to stay. At the end of the day, it’s not about trying to trick an algorithm. It’s about delivering real value to real people. That’s what turns visitors into customers. And the truth is, Google is getting more and more advanced by the day. We’ll explain this more in a future post but for now you have a basic understanding what a keyword is. 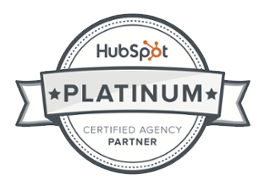 The next thing to do is understand that keywords need a strategy behind them and are just one aspect of inbound marketing. To find out more about how inbound marketing can help your technology company, check out our quick-start guide to inbound marketing for technology companies now.